"The unadorned machine-made Pinot Noir glass of the light-weight glass collection RIEDEL Veritas impresses with its delicate shape and excels through its focus on old world wines. The shape of the bowl supports peatiness flavor and the taste of plum of these sensual red wines. 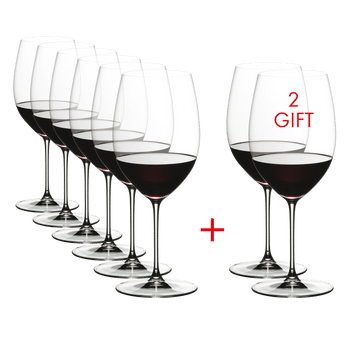 The RIEDEL Veritas bowls are based on the DNA of grape varietals and differentiates for the first time between "New World" and ""Old World"" within one glass collection. RIEDEL VERITAS combines the charm of a handmade glass with the consistent accuracy only a machine made glass can achieve. All RIEDEL glasses are dishwasher safe. "